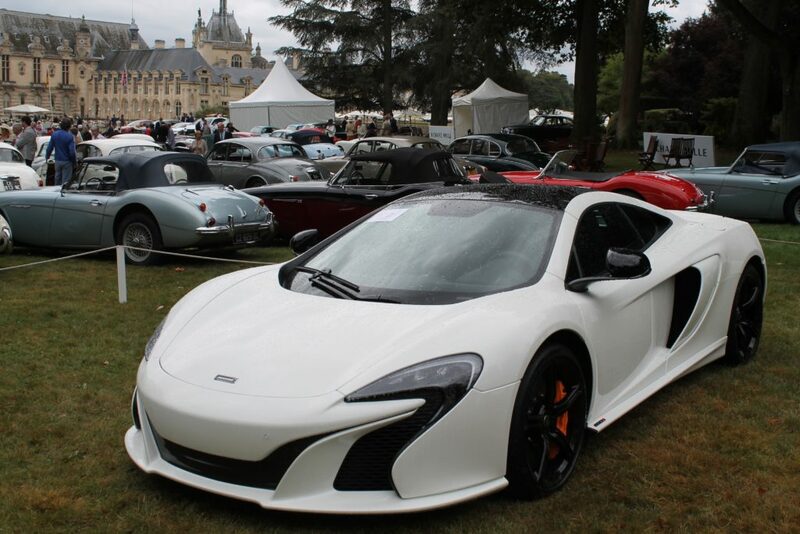 As I wondered around Chantilly I immediately realised this was an epic event, much like Goodwood in the UK, where people come not only to show off their cars, but to show off themselves, dressed in amazing clothes, both modern and vintage, everyone made an effort, and so they should – this is the regions premier chic social event. 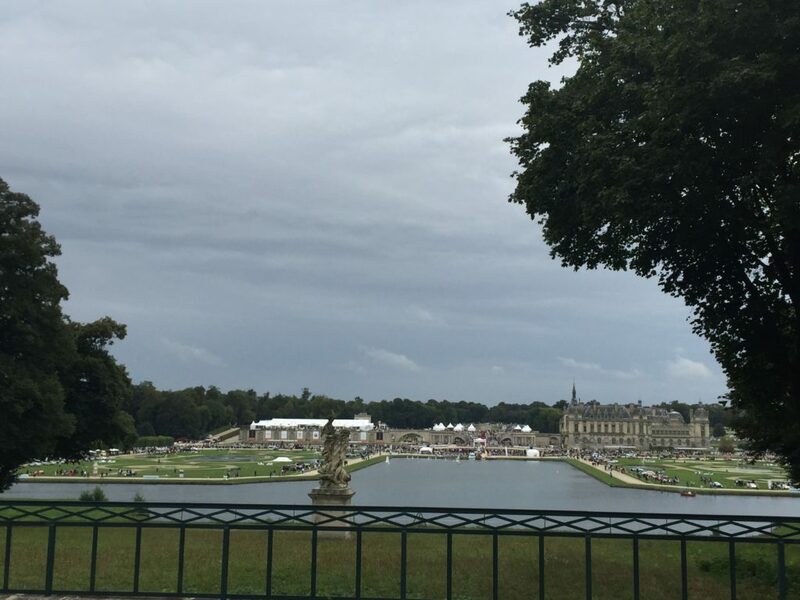 The grounds are huge, and in the centre is a beautiful Chateau, with it’s horse racing track and huge stable complex, the exact same location used in 007 James Bond ‘A View to a Kill’. 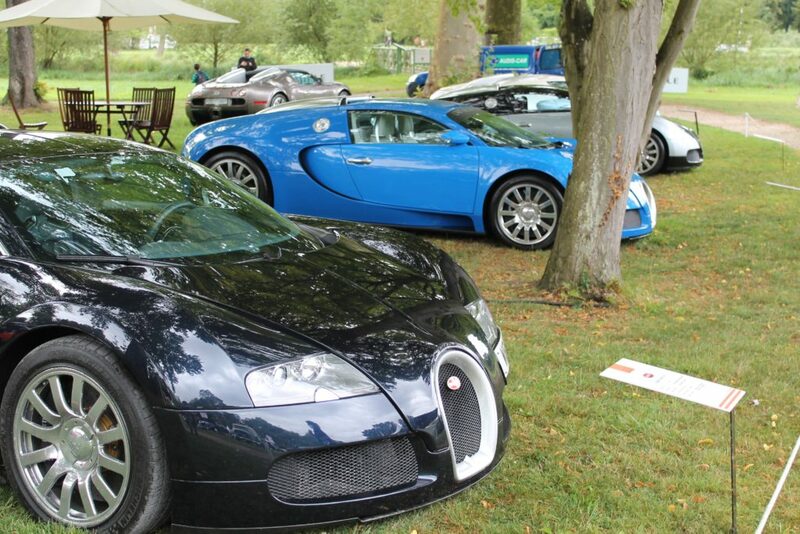 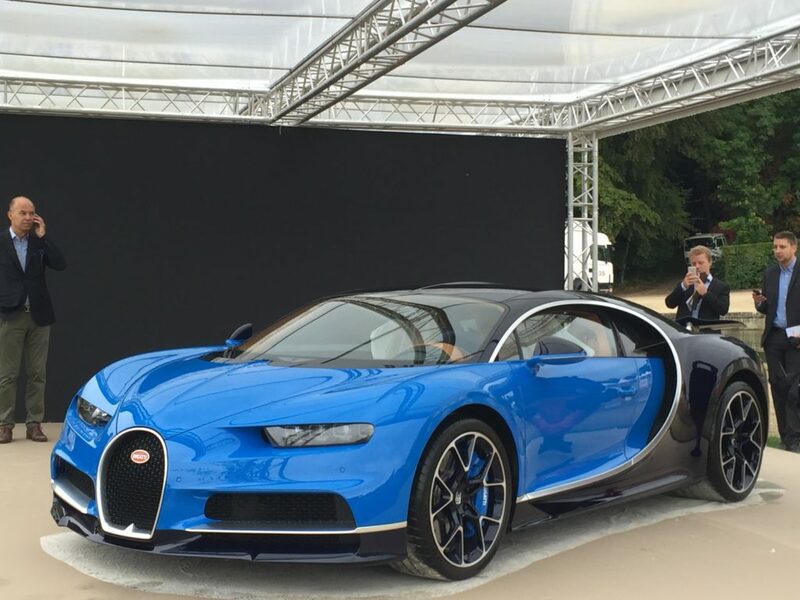 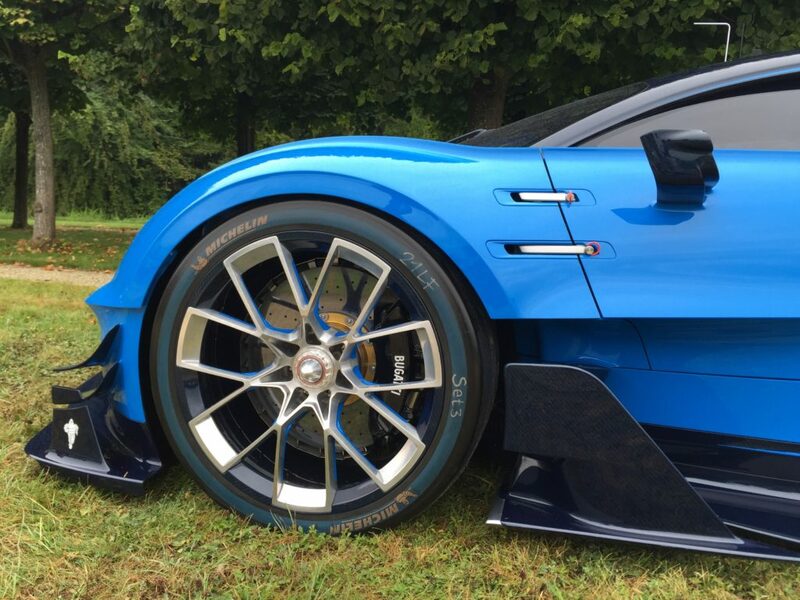 The event covered a large portion of the grounds, from a luxury picnic area, classic car desplays from Aston martin, Jaguar, Mercedes, to modern Supercars such as a whole area dedicated to Bugatti Veyrons! 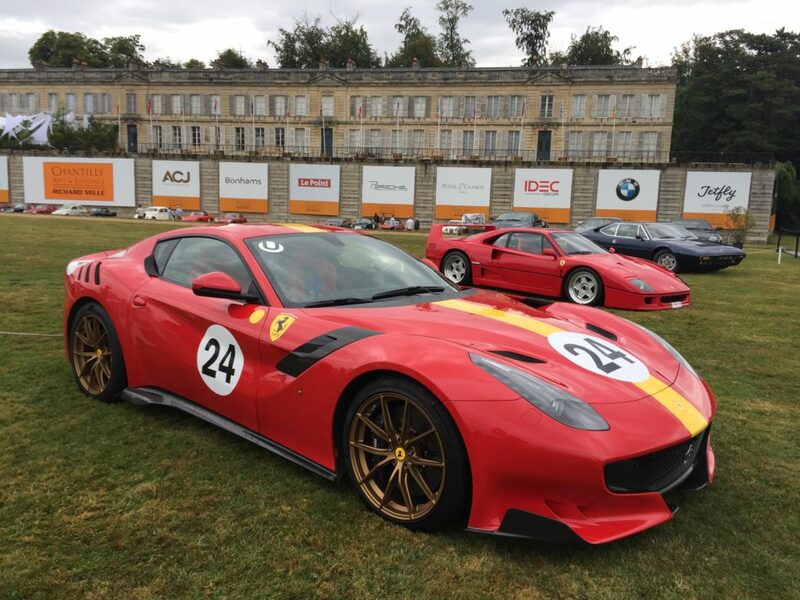 A Hot air balloon, Formula One cars supplied by Ferrari – and FIA president Jean Todt as it happens was present at the event and also the Hollywood actor John Malkovich. 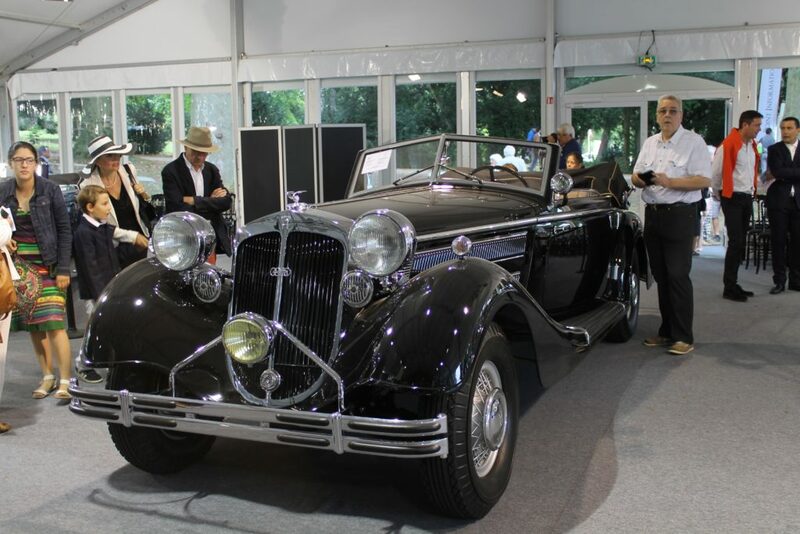 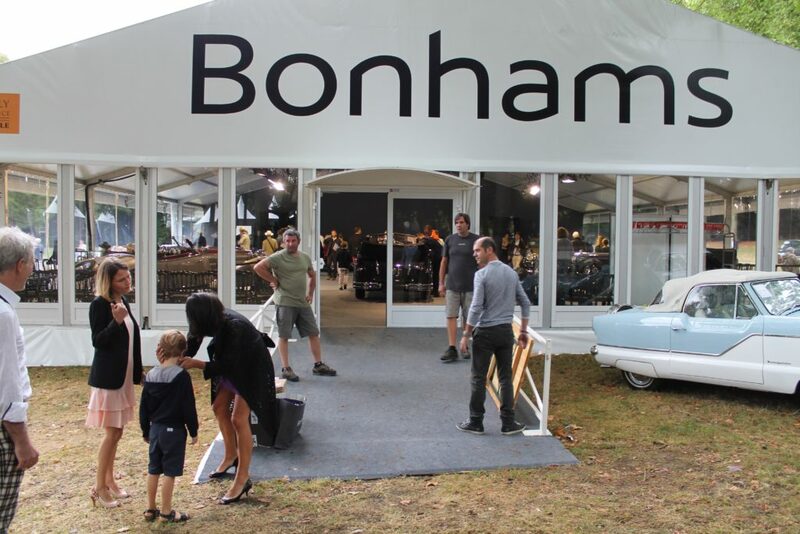 Visitors, including me, were dressed in the ‘garden chic’ dress code, and wandered through the gardens admiring row upon row of some of the most beautiful and rare cars in existence and there was even a Bonhams car auction. 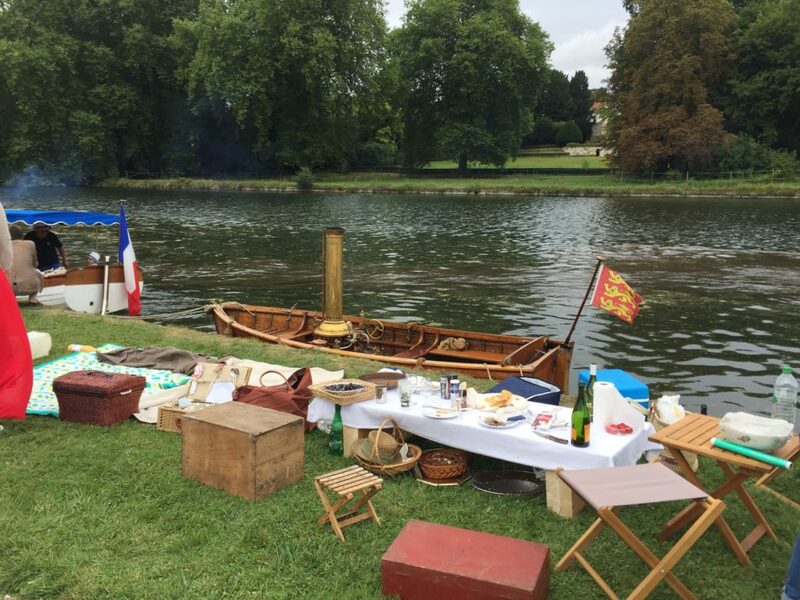 There is a river on the Chateau estate which gave a perfect setting for a riverside picnic and also steam boat rides in classic small steam boats which were amazing! 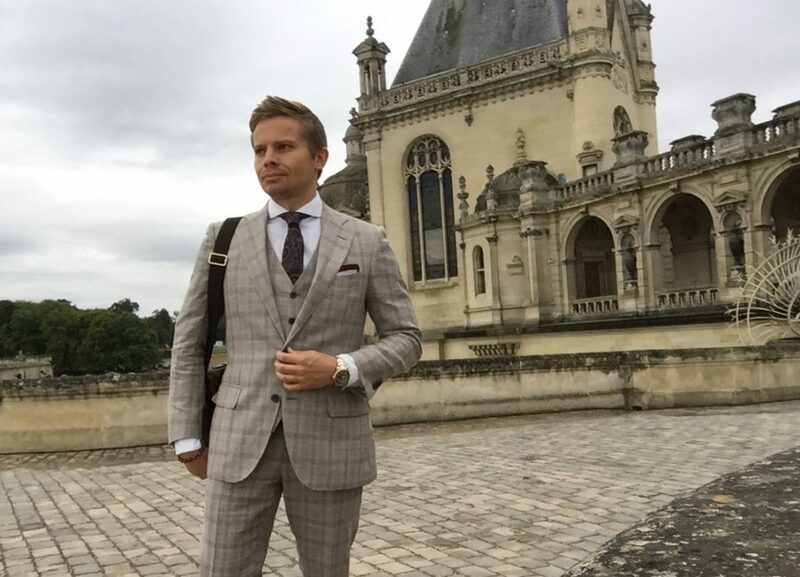 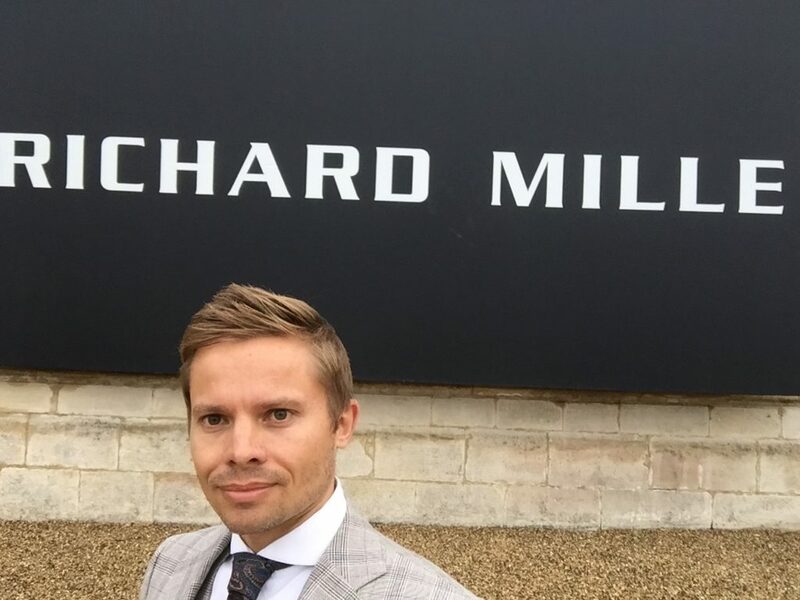 Making the journey on the Eurostar to Paris, Chantilly is then around an hour by car, and if you need a cheaufer driven luxury car to take you, be sure to get in touch with Eddy – a super service! 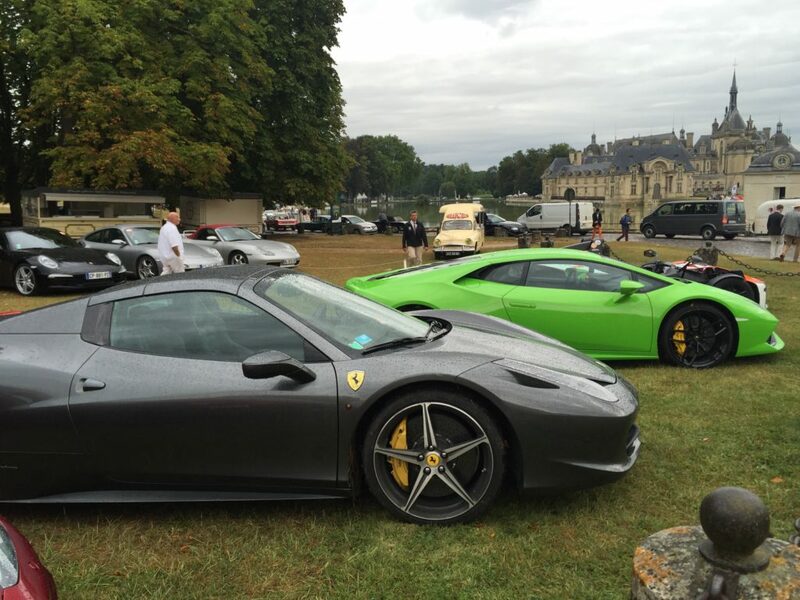 Starting my day at the Dolce Chantilly, a large hotel nearby, I caught a taxi the short distance to the Chateau. 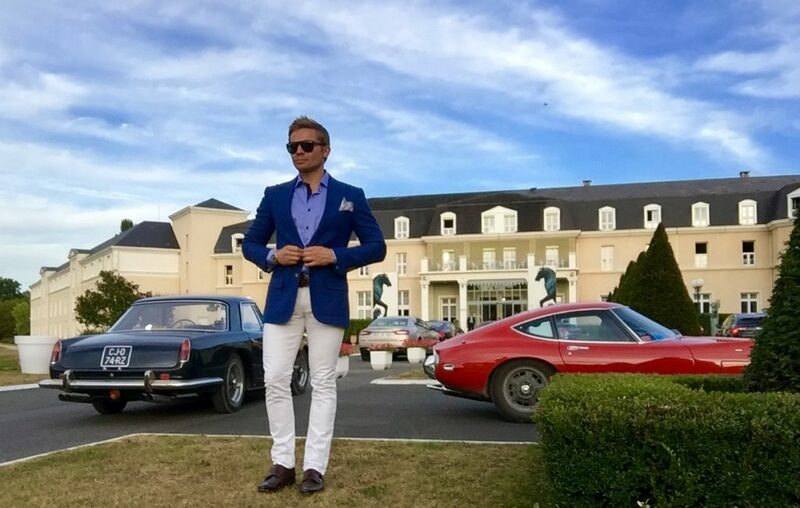 Dolce Chantilly is set in picturesque grounds with an equestrian/polo theme, and is the hotel where many of the organisers and attendees come to stay and subsequently park their supercars. 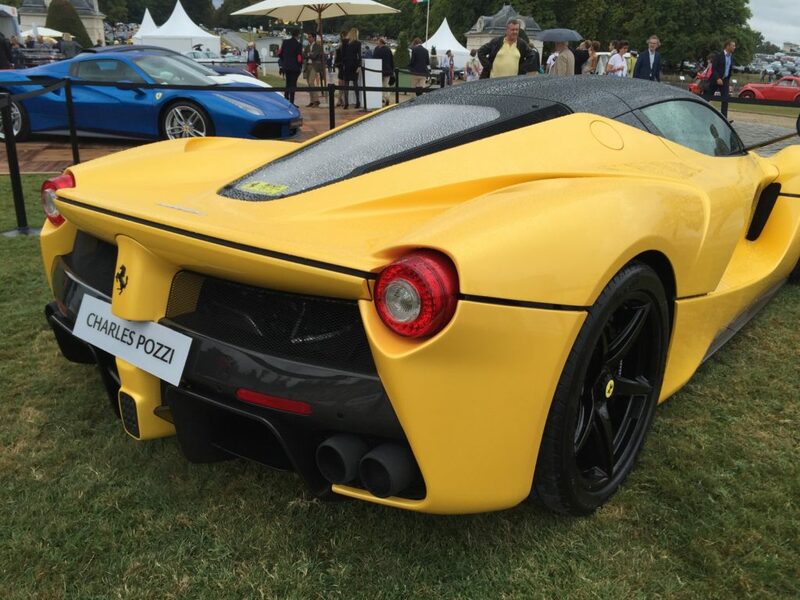 Some had made the journey up from Monaco. 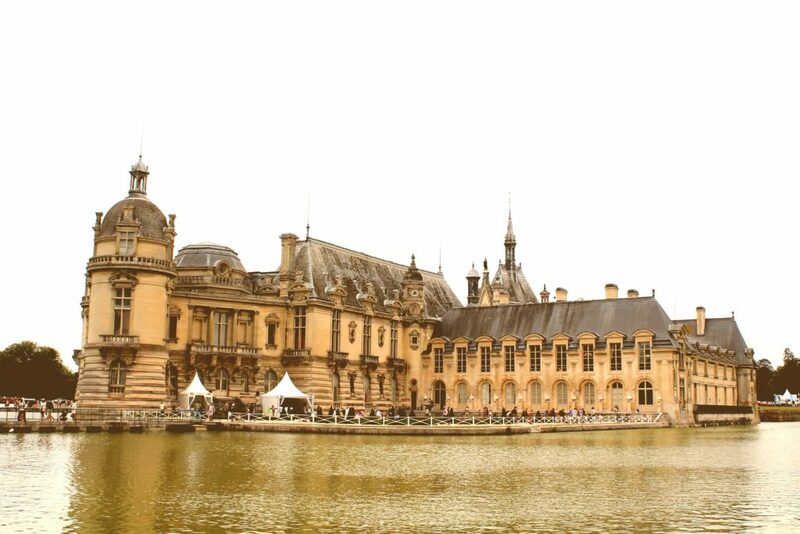 You can walk from the Dolce Chantilly to the Chateau, which I did on the way back, but this is a good hour through the local village. 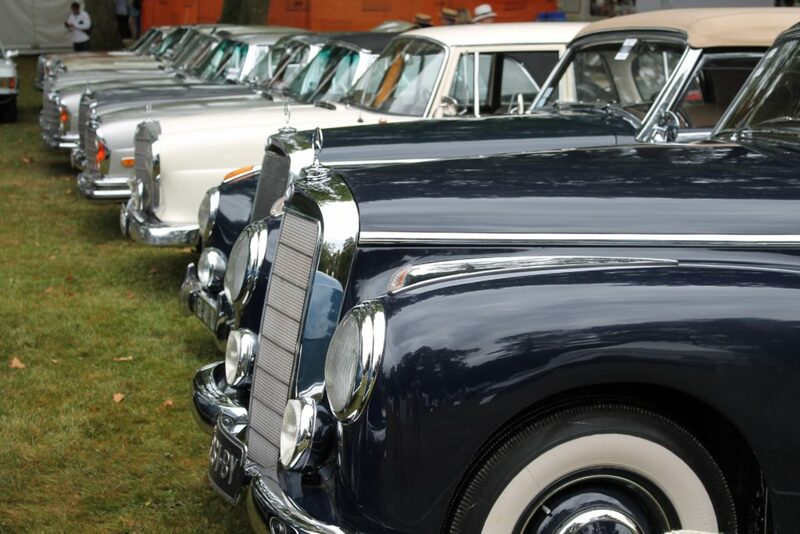 If you need a taxi for the return journey I highly recommend ordering one before you set off for the day as there are NO taxi ranks in the the town or on site. 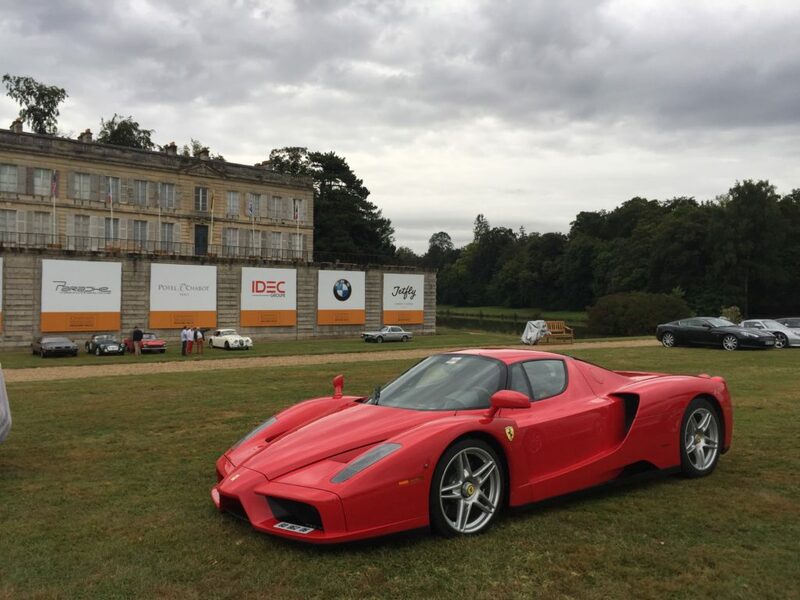 The taxi dropped me off in the main entrance to the Chateau on the cobbled driveway where the car parks were located and Supercar parking for Supercar clubs and for the day visitor. 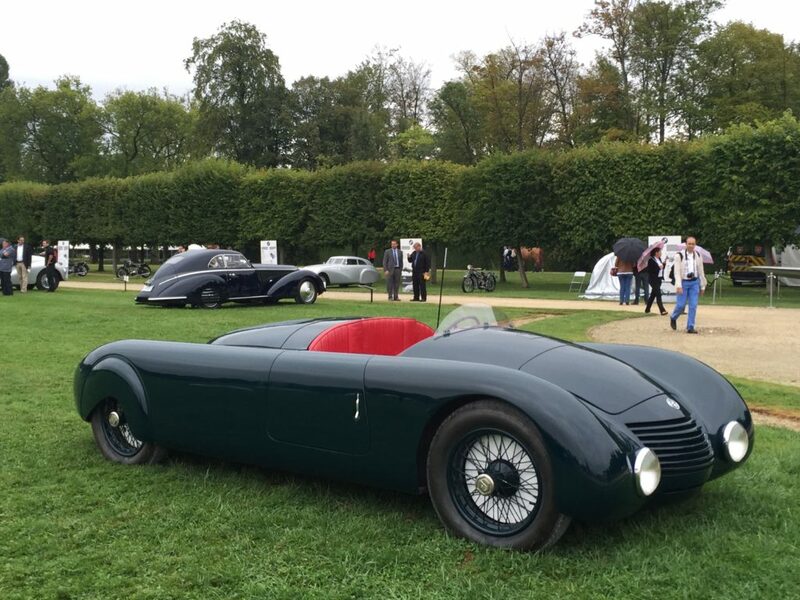 There were very short queues to get in, waiting at the large iron gates to the grouds, with a pre-booked ticket I walked straight through. 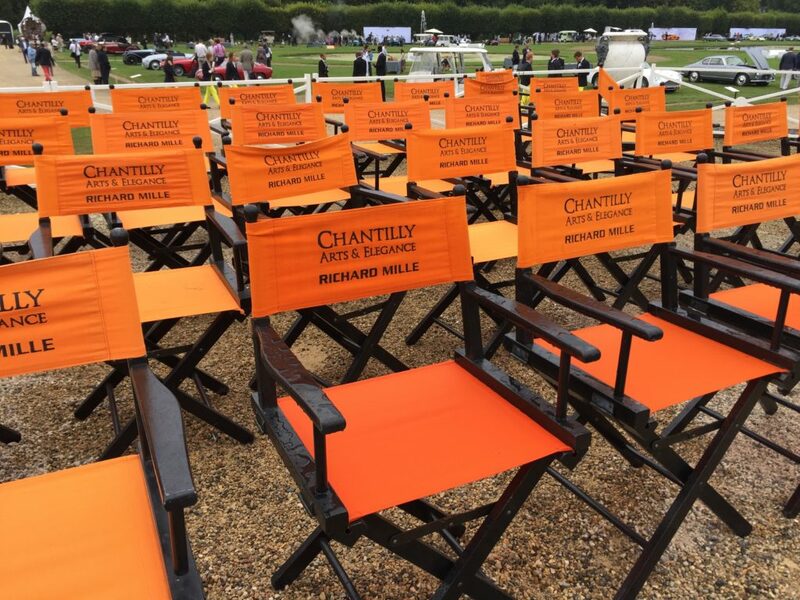 Next year I would go VIP as this allows you access to more areas and seating around the fountain for the main events. 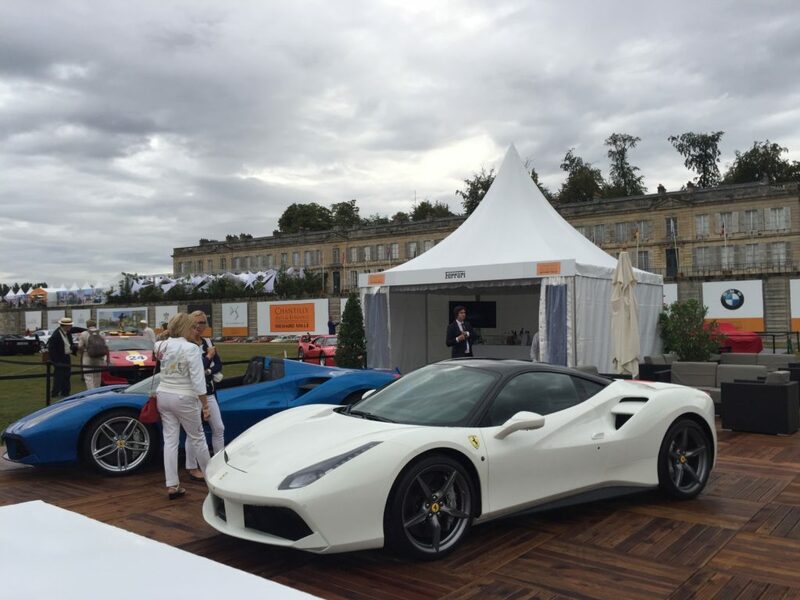 As soon as you walk through you are greeted by fashionable people, and Ferrari Club France with an impressive display of the new 488GTB and a LaFerrari, right through the years to an Enzo, several F40s and even more Dino’s! 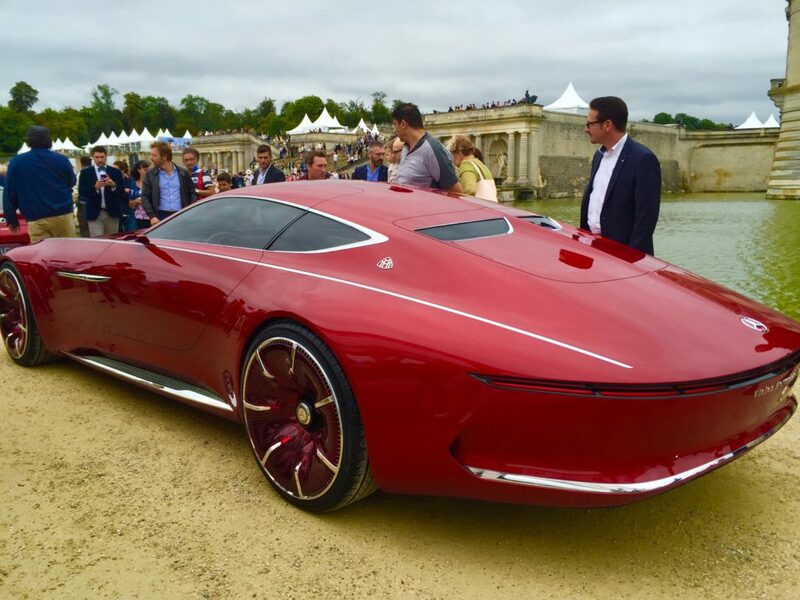 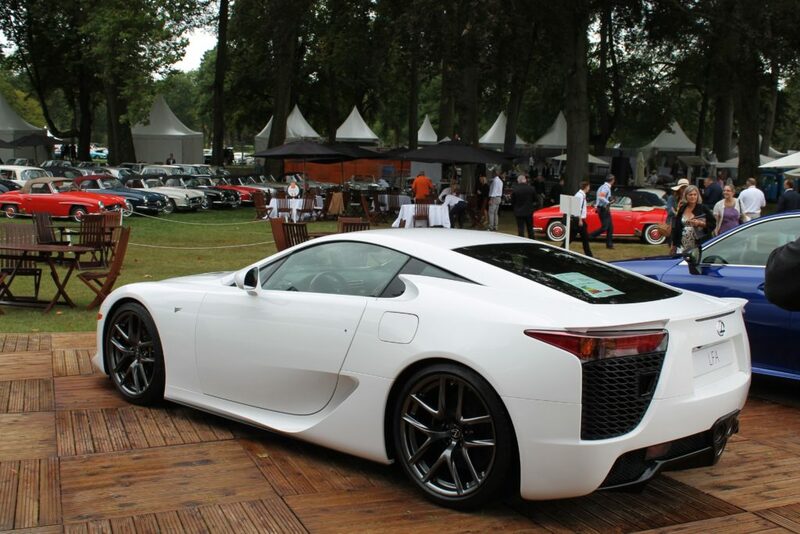 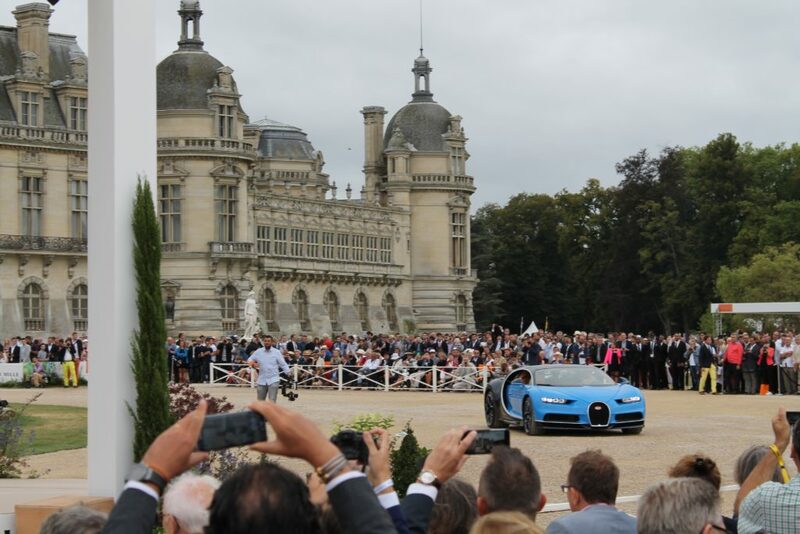 Richard Mille Chantilly: Arts & Elegance, is the third edition of the annual car show organised by the Swiss watchmaker. 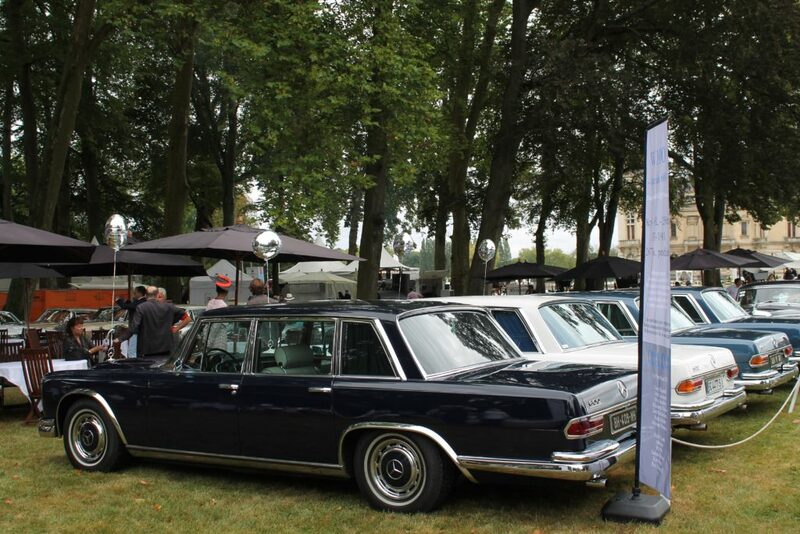 Organised by the luxury brand, this is possibly the chicest car show in the world. 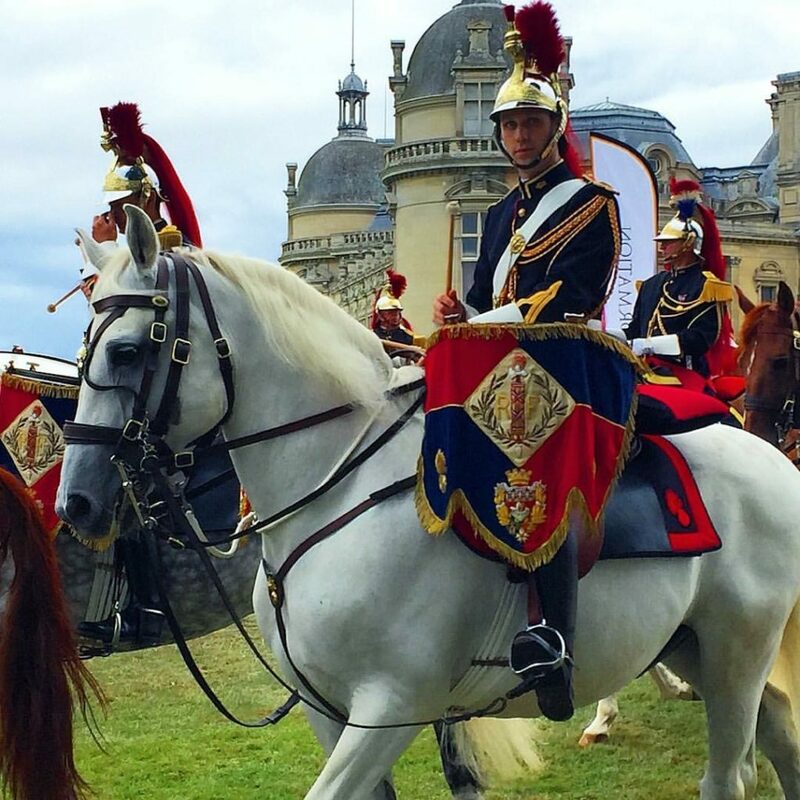 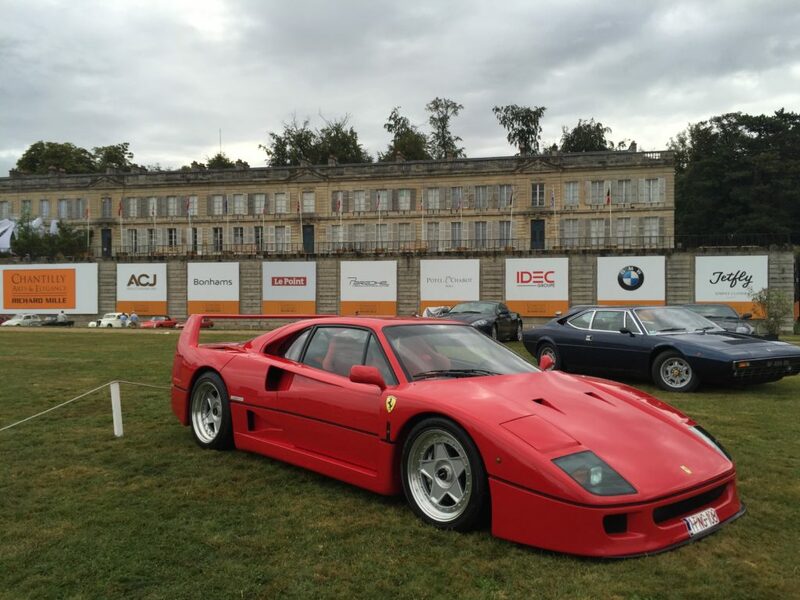 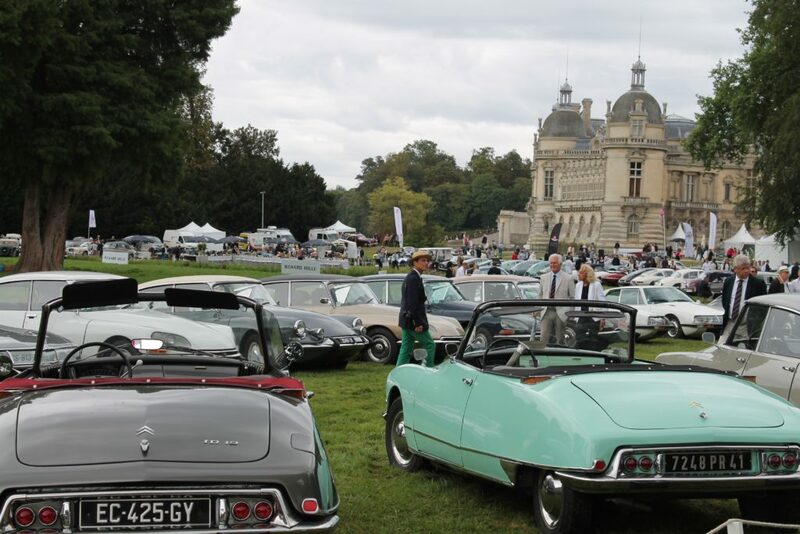 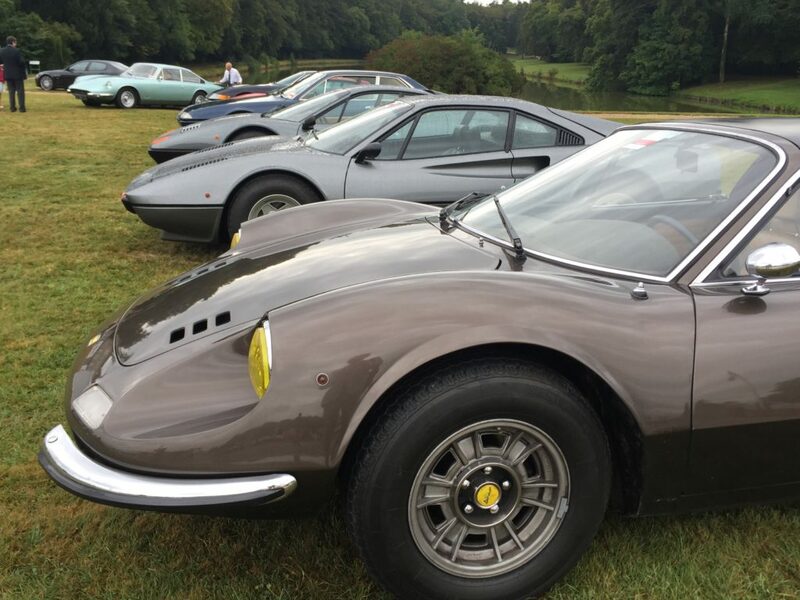 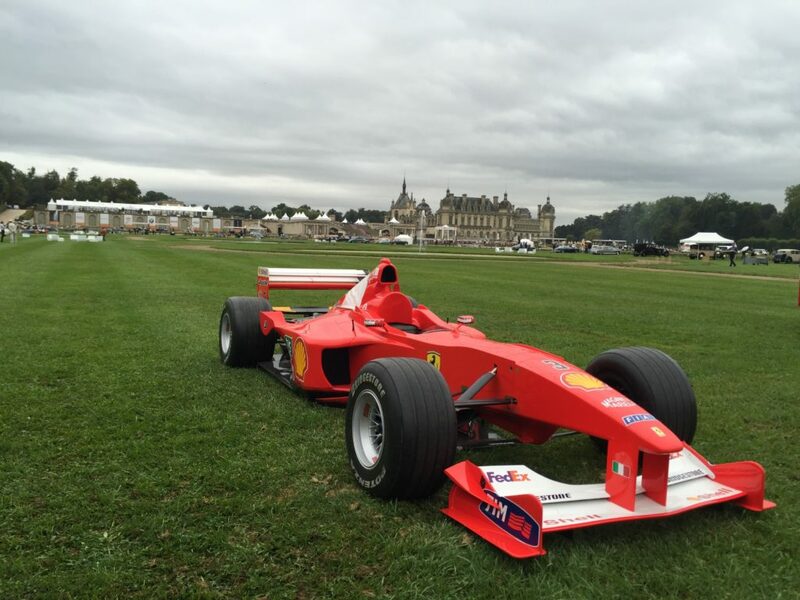 Taking place in early September, the event sees families, car enthusiasts and Hollywood royalty descend on the gardens of the utterly breath-taking Château de Chantilly. 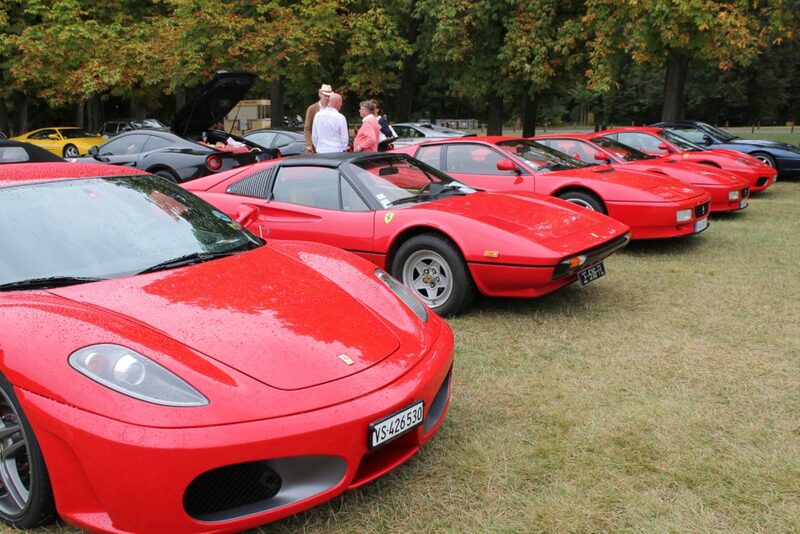 Even though this is primarily an event for cars you don’t have to be an enthusiast to enjoy this party. 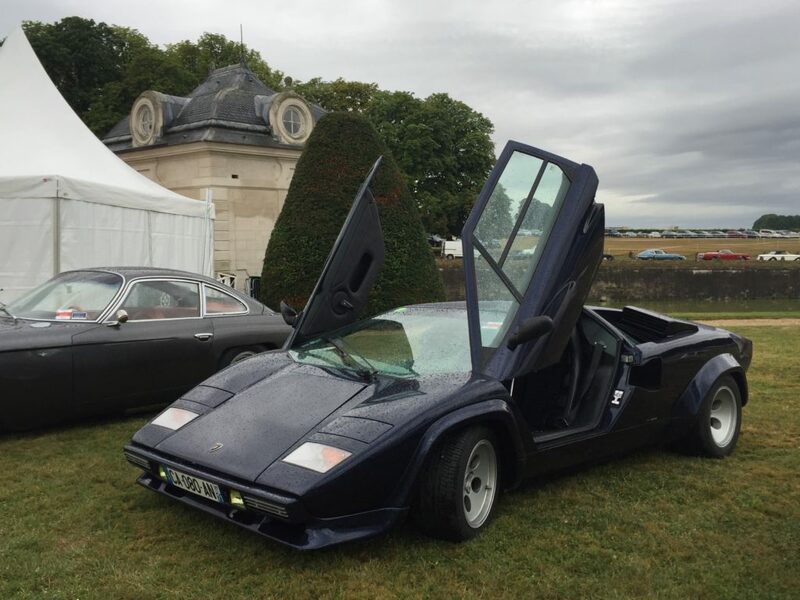 An exhibition in the nearby Jeu de Paume hall revealed more than 120 works from museums around France and the interior of the chateau is filled with endless rooms of precious furniture and Old Master paintings. 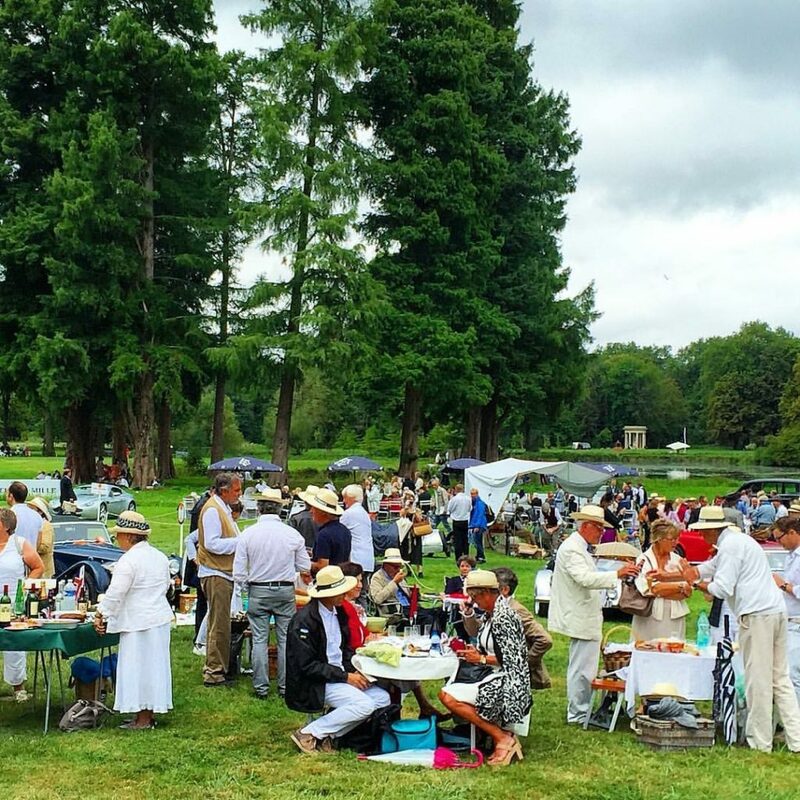 There were also the boat rides, horse-drawn carriages, hot-air balloon trips and small vintage fairground. 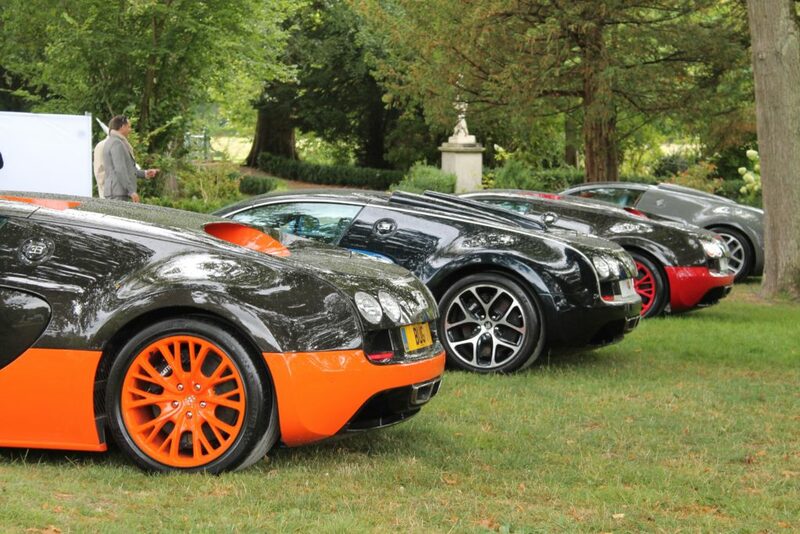 The Valentines Bag she’ll fall in love with ….